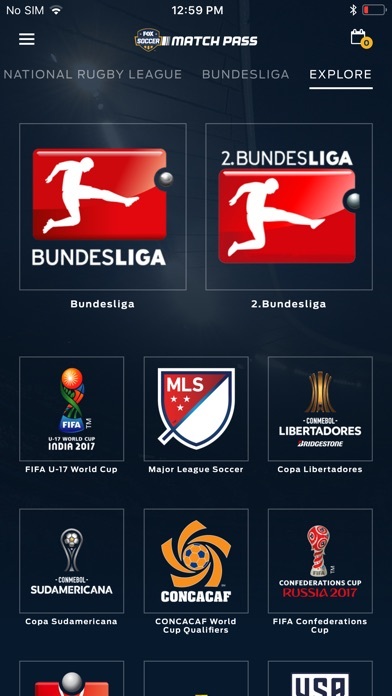 This is a decent source for the top two flights of German football. Commentary on BL matches is only in English (let us have the choice), and 2.BL has no commentary. 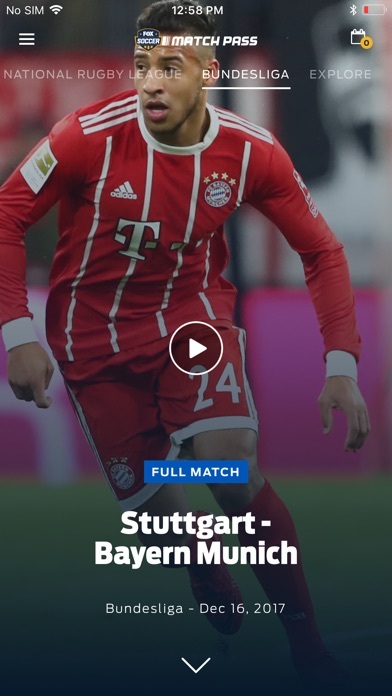 Wish they covered DFB Pokal as well. Whatever you do in this life, DO NOT BILL THROUGH iTunes! Log in through a browser and pay Fox directly. I keep trying to cancel my subscription but it keeps sayin my email isn’t correct yet it keeps charging my card every single month and I don’t even use it. When I resuscribed after an absence of a few month, the subscrition wasn’t working but the money was gone. Their support didn’t help. They first tried to blame apple, then they said I should re-install. When that didn’t work, they stopped answering me. I loved this app last year because I would las able to watch all of the matches.... something definitely happened this year. I am only getting half of the games because this app won’t load !!! I only subscribed to watch Borussia Dortmund play and I can’t even get that. Fox wants one thing and that’s money. They know people want to see certain teams play so they hide those teams behind a paywall. Craziest thing is, those games people want to see tend to fail and seem to not have the proper allotted bandwidth from fox for people to watch. Canceled subscription. Do not subscribe! The app does not work so many times and the customer support is basically not existing. They don’t show champions league anymore. Use one of the other providers! 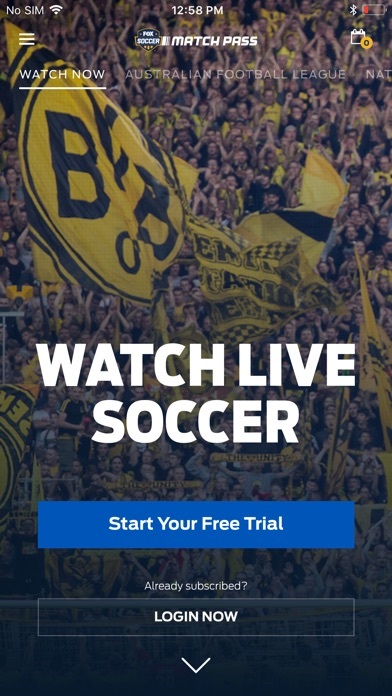 Fox soccer match pass is the worst!! When I try to watch it says I need to subscribe. But I am already subscribed and get a bill from Apple every month. There is no number to call, just a form, but I haven't received a response. Also set a new record for the I am not a robot captchas. Had to click on about thrity different pictures on over ten different screens. This app has terrible navigation that makes everything challenging. Plus midpoint thru my contract they canceled Champions League without a warning and left the choice to things I couldn’t care less. Rugby! Who needs it!? Who cares about rugby? Or some random South America championships that interest no one.